Older adults and seniors have little in common with people in their 20s and 30s, so it's not surprising that experts recommend age specific treatment for older adults when possible. But excellent addiction treatment for older adults requires more than age homogeneity. 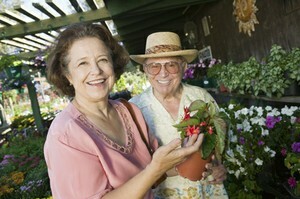 Treatment programs that excel with this demographic are set up to meet the specific needs and wants of their clientele. Tailored programming can make the difference between continuing treatment and treatment drop-out, and ultimately - between success and a reduction in substance abuse, or failure and a continuation of the problem. Whether you're looking for yourself or searching for a loved one, finding high quality addiction treatment tailored to the needs of older adults and seniors takes determination. As a starting place it's helpful to at least know what you're looking for and how to go about evaluating any treatment programs under consideration. Forget scared-straight and other in your face tactics! Only a very small percentage of seniors with substance abuse problems ever get any kind of formal addiction treatment, and research suggests that 2 reasons for this under-representation are a fear of failure and a fear of social stigma. Fear of failure - Older adults with long histories of use have likely tried to stop or control their drinking or drug use on multiple occasions. Recurring failure to control use can result in a sense of hopelessness and a fear that any new efforts will also end in failure. People already feeling ashamed of themselves do not need confrontation and degradation and people feeling hopeless and scared need encouragement and support - not pressure to succeed at risk of sanction! Substance abuse generally degrades physical and mental health and unresolved physical and mental health issues reduce the odds of addiction treatment program completion and increase the odds of relapse. Addiction treatment should meet the holistic needs of the individual, and for many seniors and older adults, this means referrals and access to outside physical and mental health services. Effective substance abuse programs will address the developmental challenges of aging as they relate to substance abuse and when applicable, teach self care or positive attitude skills which can alleviate some of the distress of such changes. Older adults with substance abuse programs often become socially isolated from friends and family. Helping older adults in recovery reconnect and reconcile with loved ones and forge new social networks is necessary for lasting improvement. Older adults recovering from alcohol or drug addiction may have greater memory and cognitive deficits so the pace of delivery needs to be matched to the abilities of the audience.